Spring is coming. Time to Shine. Check out my new Single feat. J.Lauryn. Mit „Turn Me On“ ist gerade die neue Single von DJ Polique veröffentlicht worden. Hierfür hat sich Deutschlands Urban DJ #1 Schwedens Superstar MOHOMBI mit ins Boot geholt, der schon mit Stars wie Nelly, Akon, Nicole Scherzinger, Birdman, Big Ali, Pitbull, Craig David und Shaggy zusammen gearbeitet hat. Das Video zur Nummer haben die Beiden gerade in Santorini (Griechenland) gedreht und versprüht pures Sommerfeeling. DJ Polique is now about to release his new single, “Turn Me On”. Therefore Germany’s Urban DJ #1 has teamed up with Sweden’s superstar, MOHOMBI, who already has collaborated with such stars as Nelly, Akon, Nicole Scherzinger, Birdman, Big Ali, Pitbull, Craig David and Shaggy. The video, shot recently by the two artists in Santorini (Greece), radiates the energy of summer. Am 24. Juni 2016 kommt DJ Polique endlich wieder in die Türkei und rockt das Adam & Eve Adults Only Resort in Antalya! Für alle die auf feinste Urban Sounds stehen, ist der Termin ein absolutes Muss. Hier wird DJ Polique erstmals seine neue Single „Turn Me On“ vorstellen. 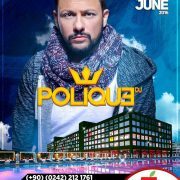 On June 24, 2016 DJ Polique finally comes back to Turkey, rocking the Adam & Eve Adults Only Resort in Antalya! For all who are addicted on finest urban sounds, this gig is an absolute must. Here DJ Polique first introduces his new single “Turn Me On”. DJ Polique auf Radiotour in der Türkei – gemeinsam mit Pachanga wurde die neue Single „Dale Pa’lante“ vorgestellt. Live-Sessions und Interviews gab es auf Number 1 FM, Radyo Fenomen und Metro FM. 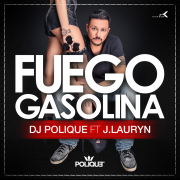 DJ Polique on Radio Tour in Turkey – together with Pachanga he introduced the new single “Dale Pa’lante”. Live sessions and interviews has been done at Number 1 FM, Radyo Fenomen and Metro FM.